In waste and recycling, the pure volume alone of the materials handled on a daily basis makes the presence of items like hoppers, chutes, and screens necessary. All of these products face a tremendous amount of abrasion issues, as well as some grappling issues. When your products are facing these demanding issues on a daily basis, it is imperative that they have the strength to handle the wear. Products that cannot withstand the high levels of wear and grappling will break down easily, leading to costly downtime and even more expensive repairs. That is why we carefully create every screen, chute, and hopper to the highest standard. We purposefully manufacture our products in-house using HD Plasma so that we can guarantee that our products will be strong enough to handle the job you need them to perform. We provide lining for garbage trucks. Our linings not only provide a solution to impact and abrasion, they also have the added benefit of reducing weight. By creating a lining that is equipped with the strength to handle the worst kinds of abrasion, but remains lightweight enough to reduce weight, your garbage truck will operate at its highest level of efficiency. With the extended wear life of these products you will see a distinguishable improvement in your waste and recycling applications. The overall boost to efficiency and productivity will make your operation more profitable than ever. 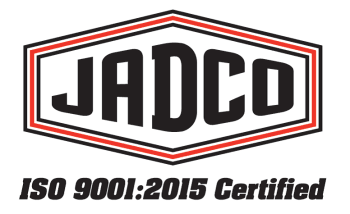 We will work directly with you to figure out the specific product you need for your exact situation, build it here at JADCO, and then ship it right to your door step.